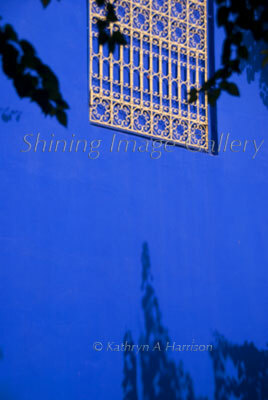 The Majorelle Garden (Arabic: حديقة ماجوريل‎) is a botanical garden in Marrakech, Morocco. It was designed by the expatriate French artist Jacques Majorelle (1886-1962) in 1924, during the colonial period when Morocco was a protectorate of France. Though Majorelle's gentlemanly orientalist watercolors are largely forgotten today (many are preserved in the villa's collection) the garden he created is his creative masterpiece. The special shade of bold cobalt blue which he used extensively in the garden and its buildings is named after him, bleu Majorelle.